Hey guys! 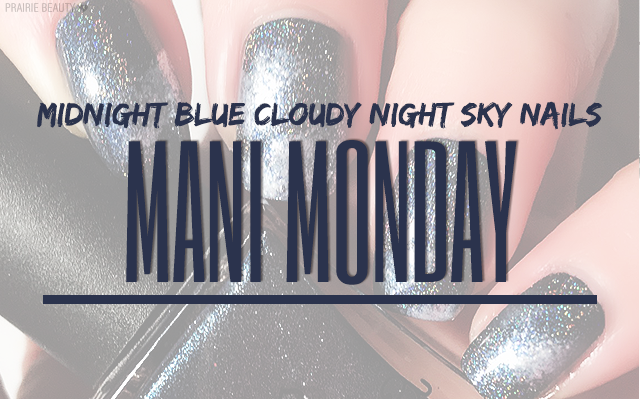 For this week's #CBBxManiMonday, our theme was Night Sky and I have to admit that I struggled a little bit with what to do. Hand painted nail art, which is what I initially wanted to do, isn't really my strong suit and I couldn't get what I wanted to work even on pop sticks so I knew I wasn't going to be able to pull it off on my nails. Ultimately, I ended up keeping it simple but I really love the look that I ended up with. Keep reading for a closer look and to find out how I got this mani! I hunted through my collection to find the perfect base for this look. I wanted a deep blue shade with some serious shimmer and, admittedly, that's just not something that I have a lot of. 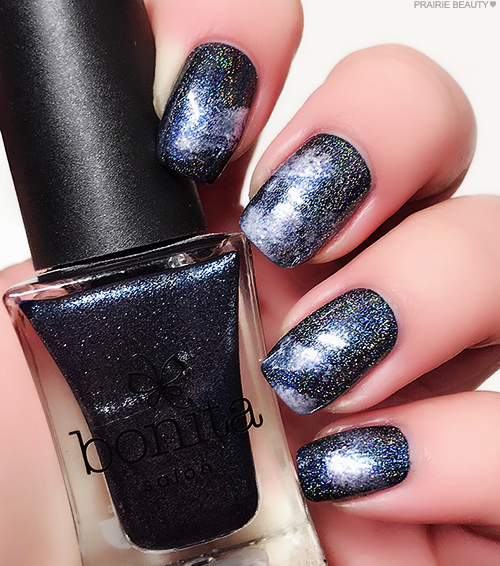 I ended up going with Bonita Polish in Eat, Drink & Be Scary, which really fit exactly what I was looking for. 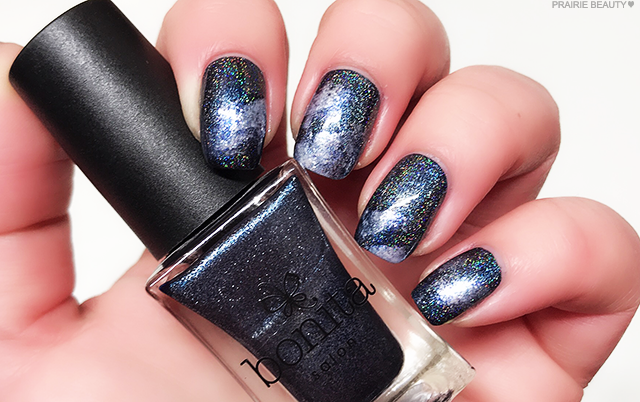 Because I did want to get that sort of blanket of stars look (and add some holo interest), I added a coat of KBShimmer Prism Break, which is my current go to holographic top coat, and I think it added a really nice dimension and impact. For the clouds, I reached for Essie Gel Couture Polish in Lace To The Altar* because I really thought it would give some beautiful, whispy clouds that would be too opaque. I dabbed them onto the nail with tweezers, using a torn bit of makeup sponge, using a very light hand and sort of random placement. I tried to concentrate more density of clouds in the middle two nails while keeping the outsides a little bit lighter. To finish, I applied a fairly thick coat of Seche Vite Top Coat to really give some shine to the mani. In the end, I think my favorite part of this mani is that it's a little bit abstract while still maintaining the theme. And it was actually a really easy mani that even a beginner would be able to put together really easily - I would have loved an inspiration like this when I was first starting out with nail art and trying to get my bearings somewhat. Be sure to head over to Cosmetic Proof and See The World In PINK today to check out their takes on this theme and check back next week for more #CBBxManiMonday!